Necessarily this covers only a limited part of the whole range – complete curricula vitae and publications lists for each member of our staff available on request. For a list of near-future events we are about to participate, see the bottom of the page. See also the links to our social media profiles at the top and bottom margins of the page. Charrasse, B., Anderson, A., Mora, J-C., Smith, J., Cohenny, E., Ikonen, A.T.K., Kangasniemi, V., Zorko, B., Bonchuk, Y., Beaumelle, L., Gunawardena, N., Amado, V., Liptak, L., Leclerc, E. & Telleria, D. 2019. 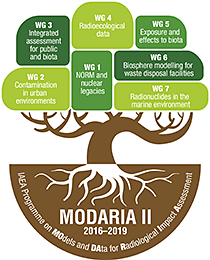 Does the use of reference organisms in radiological impact assessments provide adequate protection of all the species within an environment? Science of the Total Environment 658: 189–198. Aro, L., Ikonen, A.T.K. & Kangasniemi, V. 2018. Radioactivity on peatlands of various uses and development stages – an overview. 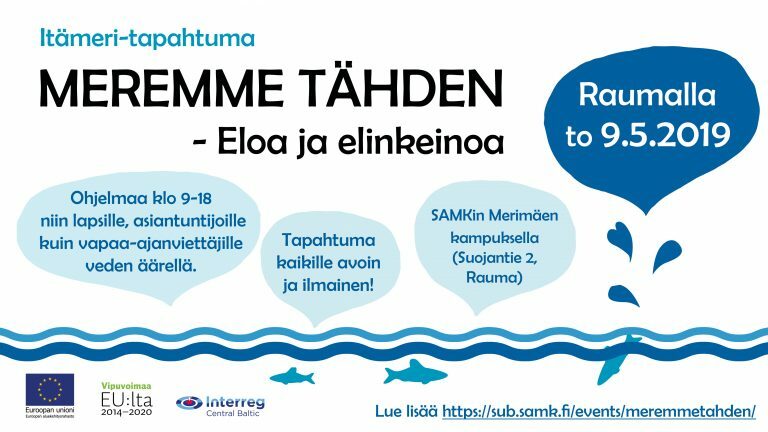 In: Salomaa, S., Lusa, M. & Vaaramaa, K. (eds.). Cores symposium on radiation in the environment – scientific achievements and challenges for the society. STUK-A261. Radiation and Nuclear Safety Authority (STUK), Helsinki. pp. 94–101. Lindborg, T., Thorne, M., Andersson, E., Becker, J., Brandefelt, J., Cabianca, T., Gunia, M., Ikonen, A.T.K., Johansson, E., Kangasniemi, V., Kautsky, U., Kirchner, G., Klos, R., Kowe, R., Kontula, A., Kupiainen, P., Lahdenperä, A-M., Lord, N.S., Lunt, D.J., Näslund, J-O., Nordén, M., Norris, S., Pérez-Sánchez, D., Proverbio, A., Riekki, K., Rübel, A., Sweeck, L., Walke, R., Xu, S., Smith, G. & Pröhl, G. 2018. Climate change and landscape development in post-closure safety assessment of solid radioactive waste disposal: Results of an initiative of the IAEA. Journal of Environmental Radioactivity 183: 41–53. Expert review of: Berglund, S. & Lindborg, T. 2017. Monitoring Forsmark – evaluation and recommendations for programme update. Technical Report TR-15-01. Swedish Nuclear Fuel and Waste Management Co., Solna. 359 pp. Kangasniemi, V. & Ikonen, A.T.K. 2017. Considerations of application of ecological thermodynamics to radionuclide transfer parameters. In: Garcia-Tenorio, R., Holm, E. & Majón, C. (eds.). II International Conference on Radioecological Concentration Processes (50 years later), Seville, Spain, November 2016: Book of proceedings. Department of Applied Physics II, University of Seville, Spain. ISBN 978-84-617-7629-0. pp. 579–586. Ikonen, A.T.K. & Kangasniemi, V. 2017. Comprehensive and systematic knowledge quality assessment as a tool for model qualification. In: Garcia-Tenorio, R., Holm, E. & Majón, C. (eds.). II International Conference on Radioecological Concentration Processes (50 years later), Seville, Spain, November 2016: Book of proceedings. Department of Applied Physics II, University of Seville, Spain. ISBN 978-84-617-7629-0. pp. 621–628. Pohjola, J., Turunen, J., Lipping, T. & Ikonen, A.T.K. 2016. Probabilistic assessment of the influence of lake properties in long-term radiation doses to humans. Journal of Environmental Radioactivity 164: 258–267. Kangasniemi, V., Mustonen, J. & Ikonen, A.T.K. 2016. Macrobenthos communities in bog pools at Alkkianneva mire, SW Finland – a pilot study. Suo 67(1): 26–30. Expert review of Tuominen, J. & Lipping, T. 2016. Spectral characteristics of common reed beds: studies on spatial and temporal variability. Remote Sensing 8(3): 181. Kumpumäki, T., Ruusuvuori, P., Kangasniemi, V. & Lipping, T. 2015. Data-driven approach to benthic cover type classification using bathymetric LiDAR waveform analysis. Remote Sensing 7(10): 13390–13409. Pohjola, J., Turunen, J., Lipping, T. & Ikonen, A.T.K. 2014. Landscape development modeling based on statistical framework. Computers & Geosciences 62: 43–52. The Nordic Society for Radiation Protection NSFS is a member of IRPA (the International Radiation Protection Association). The aim of the society is dedicated to the development and dissemination of knowledge and experience on protection against ionizing and non-ionizing radiation. This work is mainly done through arranging general meetings (conferences) within the Nordic countries, where members can meet and exchange views and information. A NSFS Conference is held every four years and the 2019 Conference will take place at the Hanaholmen Cultural Centre in Espoo near Helsinki, Finland. The theme of the 2019 NSFS Conference is “Next Level in Radiation Protection”.